The debate between contemporary and modern interior design has been long fought, and many people are still unclear as to what each design style represents. While the two terms are often used interchangeably, there is a distinct contrast between the them. Contemporary interior design is a fluid term and refers to referencing styles popular in the current time period rather than drawing on inspiration from past eras. The contemporary style became popular in the 1970’s and combined many different popular elements of the time. This design style changes depending on current trends, lifestyles, and technology. Contemporary design is not ornate or elaborate, but is seen as sleek and simple. Unlike other more traditional styles, today’s contemporary furnishings do not see any detailed carvings or baroque embellishments. Modern refers to Modernism (post World War I) and mid 20th century modern interior design, and it was derived from German and Scandinavian styles. A major component of modern design is in functionality, implying that there should be a purpose in the furnishings and decorative objects. Many modern designs use structural elements such as exposed beams or concrete to decorate a space. Clean lines and minimal curves as well as natural light and large windows are also seen as a staple in modern design technique. Reflective surfaces such as chrome and glass also help to tie a space together by bringing in a different textural element. While the styles may seem similar and are often confused for one another, they are distinctly different and each provide their own unique flare to a space. 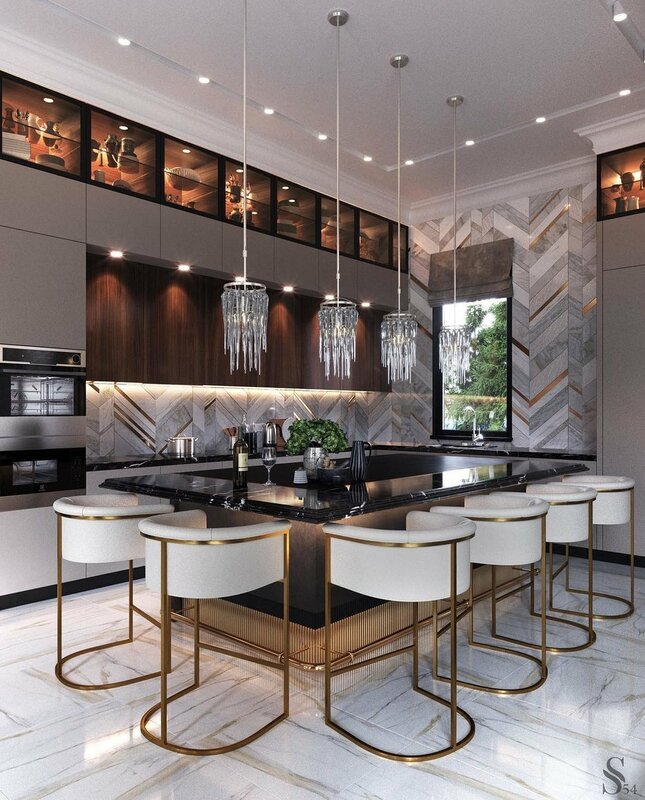 This kitchen by @studia_54 is a gorgeous representation of today’s contemporary design borrowing some modern elements!